Hockey is, perhaps, the best game that involves using a curved stick to shoot a disk made of vulcanized rubber into a net. The first ice hockey game was played in the 19th century, igniting a passion for the sport that has continued to the present day, making it the quintessential Canadian pastime. Unsurprisingly, the National Film Board of Canada has produced more than its fair share of hockey-related films. Many of these films reflect the love and dedication we all share for the game. More still explore the very personal stories of the players themselves. History, competition, loss, and triumph all play a part in hockey, so it’s only natural that our films embody that spirit. So slap on a pair of skates, and hit the ice for six free hockey films that are pucking awesome. One of the most beloved NFB classics in our archives, this short animation based on the book The Hockey Sweater tells the tale of a particularly mortifying moment in Roch Carrier’s life. During a time when everyone else in his school proudly wore the number 9 jersey of Maurice “The Rocket” Richard, Carrier was instead given a jersey of the rival Toronto Maple Leafs! The horror! How will he ever be able to face his friends at school? Well, watch and find out! The perfect film for hockey fans of all ages. For those nostalgic for the Quebec Nordiques, this is the film for you. 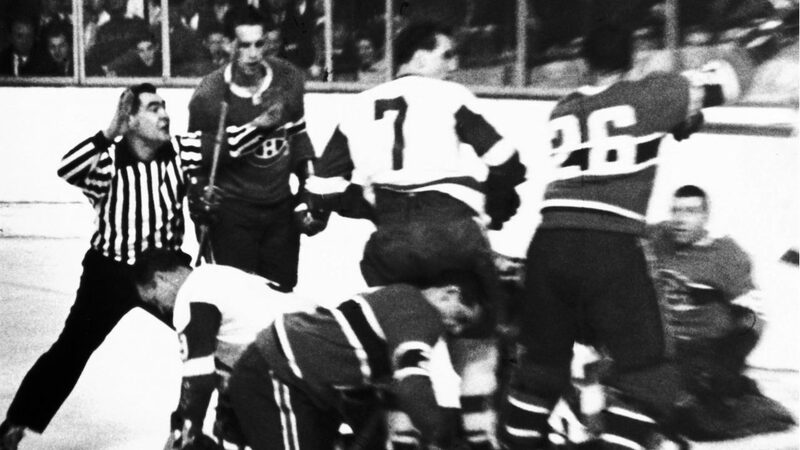 Incisive and charming, this documentary takes you right into the pre-season tension and action, as the team, led by the legendary Maurice Richard, prepare themselves for the opening game of the season. A free full-length documentary for your viewing pleasure, this film takes us all the way to China, where the University of British Columbia’s own Thunderbirds battle that country’s best hockey teams. A hockey film with an international flavour, this doc perfectly encapsulates just how universal the language of hockey is. A man who needs no introduction, Maurice “The Rocket” Richard is one of the most beloved hockey players of all time. And, in this one-of-a-kind documentary, we are treated with a deep dive into his life, following his meteoric career from the 1940s to the 1950s. Featuring in-depth interviews and classic footage, this is a can’t-miss film for any old-school hockey fan. A short film made by acclaimed Quebec director Giles Carle, this documentary captures the perfect Sunday afternoon at a local skating rink. Full of fun, excitement and, of course, hockey. A feel-good film you won’t want to miss. Stylishly filmed, this classic NFB doc takes us back in time to the year 1967. Here, the very best of that season’s NHL games are spliced together into a perfectly cut highlight reel that is set to awesome and catchy music reminiscent of the Tijuana Brass. A great film that showcases the skill and grace of the game. Who doesn't love a cat? So, curl up and get ready to peruse these four films featuring everyone’s favourite feline friends. From pets to predators and everything in-between, the relationship between human beings and the rest of the animal kingdom remains an important part of our daily lives.